Summer Fitzgerald is a person of interest in the robbery and murder of her former boss. With no resources she is forced to take a job as a nanny. To her surprise the job consists of watching four, almost full grown, cowboys and helping their handsome, older brother Holden O’Leary. Veterinarian Holden O’Leary moves his family to a Montana ranch for a fresh start. His time is soon consumed rescuing neglected horses and he needs help with his bothers. Despite wishing otherwise, he soon finds that Summer holds his heart. Will scandals and old secrets keep them from trusting each other or will Summer finally get her desire? A voracious reader, Kathleen quickly discovered the world of romance novels and she knew she was home. Kathleen wrote her first book four years ago. She was shocked to find out that people liked what she wrote. All of Kathleen’s novels are award winners. Kathleen lives in Keller, Texas. She moved there from Rochester, New York seven years ago. She is having the time of her life exploring Texas culture and learning to ride horses. Kathleen is married to her wonderful husband Bruce and they have one son, Steven a Marine. 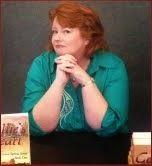 Kathleen has six published novels. 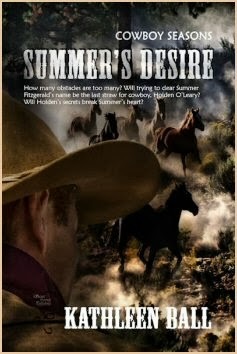 She writes Contemporary Western Romance. She feels blessed to be supported in her writing by her family and friends. Thank you so much for hosting me!! !